If you have any questions regarding eyecare or your visual health, don't hesitate to contact me using our contact form. We will do our best to give you the advice you need, and your question will be answered in the strictest confidence. Q. How regularly should I have my eyes tested? A. It is recommended that everyone should get their sight checked at least every 2 years. Even for those who feel have perfect sight it is important that regular checks of the ocular health be maintained to avoid any potential problems in the future (e.g. glaucoma). Your eye specialist will advise if more frequent check-ups are needed (e.g. people with diabetes). Q. How long does an eye test take? A. An eye examination typically lasts about 25 minutes or so. Many things are investigated during an eye exam. Firstly, the vision will be checked and lenses put up if necessary to improve the vision. The health of the eye both front and back will be thoroughly investigated. The eyes will be checked for squints, cataracts, and the presence of glaucoma. Visual field tests and other auxiliary tests will be carried out if need be. Q. 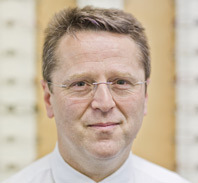 Am I entitled to a free eye examination through the NHS? Q. How often can I have my sight tested? A. If you are a private patient; as often as you like. If you are an NHS patient; as often as your Optometrist recommends. If you are an NHS patient and you want to have your sight tested again before your next NHS appointment is due (for example if you lost your glasses and wanted another test before replacing them) you would have to pay a private examination fee. If you feel you are having problems with your eyes, we can advise you on whether you are entitled to an early NHS sight test or whether you will have to pay. In some cases it may be more appropriate for you to see your GP or an ophthalmologist rather than have an NHS sight test. The NHS sight test is for the provision of spectacles, not for emergency eye problems. If you think that your sight has changed before your next test is due, you can ask your Optometrist for an earlier test. Q. When should a child have his/her first eye exam? A. Always before they start school and ideally even younger. Good vision is vital for early years education and often even though your child may appear to be seeing well, a problem with one eye only or a muscle problem can cause problems with learning but will not be noticeable at other times. Small babies with suspected vision problems will usually be referred to the hospital but toddlers can have their eyes tested at the opticians. Q. What are cataracts and glaucoma? A.A cataract is a clouding of the normally clear lens of your eye. For people who have cataracts, seeing through cloudy lenses is a bit like looking through a frosty or fogged-up window. Clouded vision caused by cataracts can make it more difficult to read, drive a car, especially at night, or see the expression on a friend's face. Glaucoma is a disease of the eye which is generally associated with raised eye pressure and if left untreated can cause tunnel vision. There are usually no symptoms so this can go undetected for many years unless you have regular eye examinations by which stage the damage can be irreversible. Q. I use a computer all day, do I get help with the cost of my eye test and/or glasses? A.Bit of a grey area this one. Although HSE legislation says that eye tests have to be offered to regular VDU users, and anyone who needs spectacles "specifically" for VDU should have spectacles supplied by the employer, in reality very few people do in fact have a prescription which is "specific" for VDU only. We can of course advise on this in each individual case. There are of course many employers who are more generous than this, and will contribute to any spectacles so long as they are used on the VDU as well as general use. Check with your employer about their policy on glasses, but the private eye examination should always be paid for by the employer. Q. What is myopia (short-sightedness) ? A. If a person is having problems seeing objects at a distance but can see things up close clearly, they are generally considered to be myopic. This can often become a problem during adolescence and is easily corrected with spectacles or contact lenses. Q. What is hyperopia (long-sightedness) ? A. If a person has problems seeing things up close but feels more comfortable focussing on distant objects, they are considered to be hyperopic. Again, correction is generally achieved using spectacles or contact lenses. Q. What is an astigmatism? A. Astigmatism is a condition where the eye is oval in shape rather than round (the front of the eye is like the shape of a rugby ball rather than a football). It is an extremely common condition and can be associated with being either myopic, hyperopic or both. Spectacles or contact lenses can be used to rectify this. Q. Do I still need a check-up every 2 years if everything seems ok? A. Absolutely. Things can change very rapidly in the human eye, and more often than not, early detection is essential in helping to prevent problems from getting any worse. Q. At what age can a child be examined? A. Any age really. A child's eyes have finished developing by the time they are about eight years old. Many health authorities screen children in their area at around three years of age, but if you are concerned, or if there are any members of your family with eye problems, then it's best to have your child's eyes tested. Q. Why does my child need an eye test when they are checked at school? A. The school eye test is often performed by a nurse checking for only the most obvious of eye problems such as grossly reduced vision. Often a squint, lazy eye or certain eye diseases are much more subtle in appearance and are therefore much harder to pick up without specialist training and equipment. Q. Can I wear contact lenses if I have an astigmatism? A. Yes, by use of a specialist lens called a ‘Toric’ contact lens. Q. Can I use tap water, saliva or other liquids to clean my contact lenses? A. Definitely not. Micro-organisms such as bacteria, viruses or tiny worms called ‘Protazoa’ are abundant all around us, but particularly in our mouths, on our hands before we wash them and in water tanks in our homes. If any of these get onto your lens, the next place they go is in your eye. This is why you must only ever use the solution recommended by your Optician. Q. Where should I buy my glasses from? A.The prescribing and dispensing of spectacles are very closely linked and it would be in your best interests to have your spectacles dispensed where you have your eyes examined. It is often more difficult to resolve any problems you may have with your spectacles when prescribing and supply are separated. Q. Does wearing glasses make you dependent upon them? A. There is no evidence to suggest that wearing spectacles makes you more dependent on them. Most people need to wear spectacles more as they get older, particularly if they are long-sighted, and wearing spectacles does not increase (or decrease) this dependence. If you go short sighted when you are in your teens this is because your eyes are growing (short sighted eyes are too big) and this also tends to get worse whether or not you wear your spectacles. What people find is that, when they get their first pair of spectacles their vision is so much clearer and more comfortable with the spectacles than without them, they are reluctant to use the effort to see without them. They are then surprised when they take their spectacles off that their vision is apparently worse without them than they remember it being. In fact, their vision is not actually worse without specs than it was before they had the spectacles, but they have become accustomed to seeing more comfortably because they have spectacles.